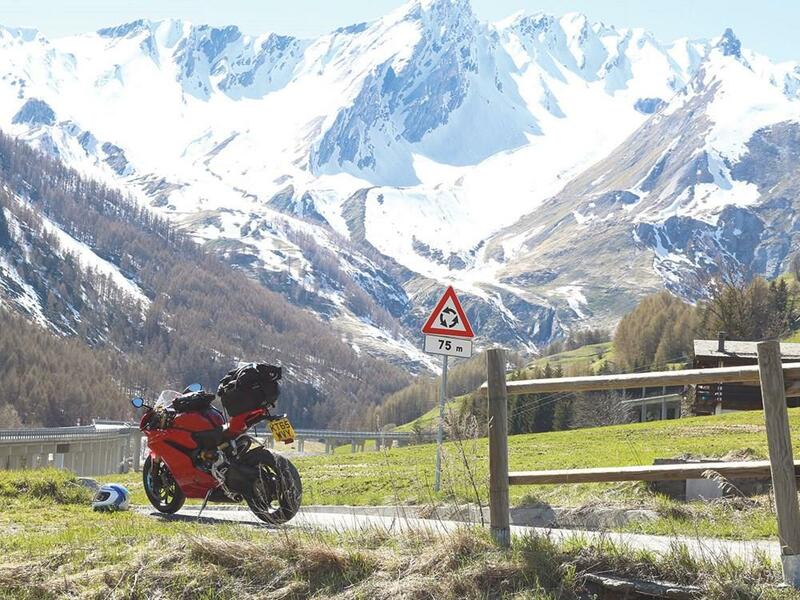 A European motorbike trip can be a great way to get some miles racked up towards your #ride5000miles total at any time of year; whether it's your summer holiday, a way to extend the riding season through autumn or a way of beating the January blues while you wait for spring. Exploring a foreign country on two wheels can be challenging, but that’s what makes it so rewarding. There’s no point making things any more complicated than necessary when it comes to making sure your documents are up to scratch, and that includes insurance cover. Knowing the local laws and customs ahead of time can also save you a lot of grief in the long run. MCN spoke to Dave Bowcock, managing director of Principal Insurance to get some advice and added this to our own experience. You’ll need to make sure that your insurance cover will extend to riding in the country that you’re headed. Many countries in Europe will be covered when you take out a policy now, but it is always wise to check before heading out. Some insurers will include European cover automatically, while for others it will be an add-on. 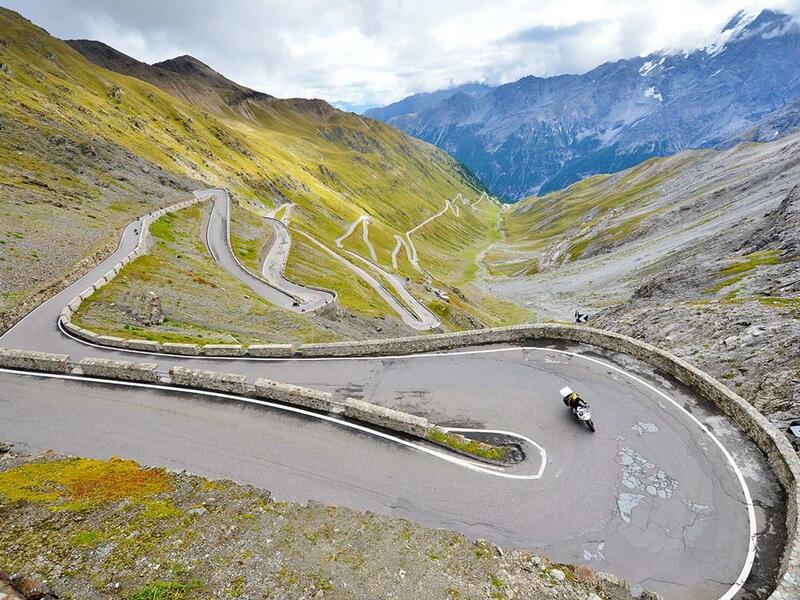 Head to MCN Compare to find the best policy for your perfect biking trip. It’s worth checking your insurance documentation before going as some policies won’t include riding abroad or in some instances will only cover you for a limited amount of time. You may also need to inform your insurer of your intention to ride outside the UK, some will need notice at least a couple of weeks beforehand, while others won’t need to be informed at all. Find out the European extension of your insurer as well if they have one, just in case you need to contact them. When abroad, you’ll need to carry your insurance certificate and always make sure you carry paper copies of your documents too and keep them separate in case one gets lost accidentally. 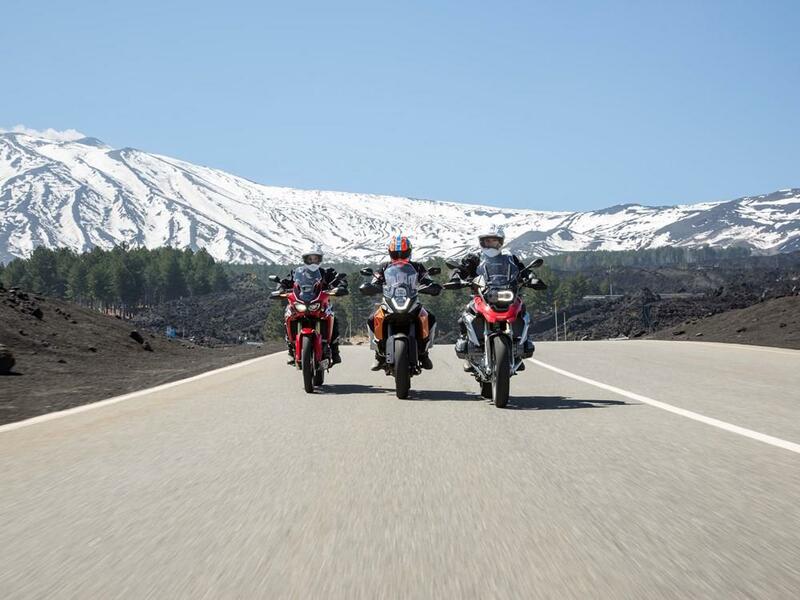 If you’re going further afield than Europe, then you may well need to take out specialist insurance that will cover you for the countries you’ll be riding in. The insurance laws will vary depending on where you’re travelling to so it makes sense to find out what you will need at the very minimum to be legal before you go. You also need to consider duration of your trip too as there may well be a limit on the time that you’ll be covered while overseas. Some policies will only allow brief coverage while out of the country and others will be less strict with duration of coverage. Again, check your policy details to find out if you will be adequately covered and extend your policy if necessary. "Make sure you arrange travel insurance as soon as you confirm your arrangements. You never know what might happen between booking and travelling and your policy will offer cover for cancellation due to specific circumstances such as unexpected illness. "An annual multi-trip policy is definitely worth considering if you’re planning a few foreign breaks. They’re easier and can be cheaper than buying separate single trip policies. Just be mindful of any limits on the number and duration of trips and territories that are covered. "In these days of click and buy it’s tempting to just go for the cheapest price. But it’s important to make sure you’re comparing like-with-like and buying the cover you actually need. Check the limits, exclusions and excesses to avoid any nasty surprises should you need claim. "If a few of you are planning to holiday or tour together, it might be worth checking out a group travel policy. “Bulk buying” should be cheaper. Just make sure that all members of your group are eligible – for example age and health exclusion may apply." Take time to think about the scenario where it all goes a bit pear shaped too, it’s all well and good thinking that a crash won’t happen, and in the majority of cases it won't. But it’s still prudent to ensure that your health cover extends to the country that you’re visiting, if not then it’s important that you have adequate cover in place that will see you taken care of should you need to unfortunately spend time in hospital. You also need to think about your riding kit; is it covered in your policy and if so, will it cover the cost of replacing your gear should you need to. If you own the a Rukka jacket and trousers worth £1,700 and an Arai lid worth upward of £400, plus the potential cost of boots and gloves then it will be of little use if your policy will only cover your kit to a maximum value of £600. "When buying travel insurance, make sure it covers what you need it to. Some standard policies may not protect panniers, contents and camping gear and may even exclude motorcycling as a 'dangerous activity'. "Beware exclusions for removable panniers and top boxes. It’s worth checking out specially designed, biker friendly travel policies which might also cover your helmets and leathers. "Watch out too for exclusions. If you have a pre-existing medical condition you might need go to a specialist insurer. “Alcohol related incidents” are also a common exclusion." There’s some confusion surrounding the Green Card nowadays, while it was once absolutely essential to carry one to give proof of insurance to foreign dignitaries, it isn’t so much the case now. In some countries, an insurance certificate will suffice to provide proof of cover to the minimum required standard. It’s worth checking exactly what you’ll need though and, in many cases, having a Green Card will still make it simpler to prove you’re covered. It is still necessary to carry in some countries though and may still be asked for by some authorities in countries where it isn’t a legal requirement. So, in many cases it still helps to have one regardless, as for many years producing one has been the only form of evidence of insurance for foreign registered vehicles. A Green Card will be free provided that your policy allows you to ride in another country and your insurer should be able to issue one should it be required, if it hasn’t already come with your insurance documents. "You probably know about the Green Card. This is the free, international, mainly European scheme which means if you’re insured here, then you’re covered for the minimum compulsory insurance requirements of the country you’re visiting. "This is not an EU scheme but has some 47 member nations, including non-EU members such as Croatia and other countries in the Balkan peninsula, Morocco, Russia, and Tunisia. "An EU-driven multilateral agreement means that at the borders of 34 of those countries, you do not need present a physical Green Card. For the remainder you do and if you can’t you'll need pay an insurance fee. "You need check too that your insurer provides cover for all the countries you are visiting. For examples, some insurers do not provide cover in Bosnia & Herzegovina. If you’re unsure check with your insurer or broker before you travel." What documentation should you take? Alongside your insurance documents, you’ll also need to carry your driving licence, any travel documents and a visa if going further afield than Europe and also a vehicle registration V5 certificate and a European Health Insurance card. Finally, a valid passport is something you won’t get too far without. If you are heading abroad on the ferries it’s important that you are able to tether your bike down properly in the hold in case of rough weather. Park it so it is almost leaning against the deck wall and out of people’s way. You want to tie it down so that the suspension is compressed and the weight of the bike is on the sidestand so it can’t flick up. Watch out that the straps don’t chafe the paintwork during the crossing. Pieces of sponge where the straps bear on the bike are a good idea. Put it in first gear and tie the front brake lever on with a small bungee or a section of bike tyre inner tube and it shouldn’t shift, even in a storm. Your bike will need to be capable of doing the trip. If it’s getting close to a service, then get it sorted before going. Adequate breakdown cover will also avoid a very costly recovery bill should the bike not be able to complete the trip – the last thing you want to find yourself is stranded a couple of thousand miles from home with locals who don’t understand you. Some insurance policies include breakdown cover for either the UK or abroad, so definitely check. Even if it’s not included on your policy, you might be able to add it at a lower cost than you can find elsewhere. A big trip can see a lot of wear on your motorcycle’s rubber and while your tyres may be legal at the start of the trip, they might not be by the end. If in doubt get them changed, you can always save and refit the old tyres if there’s some life in them after - but it’s far better to be safe than sorry. 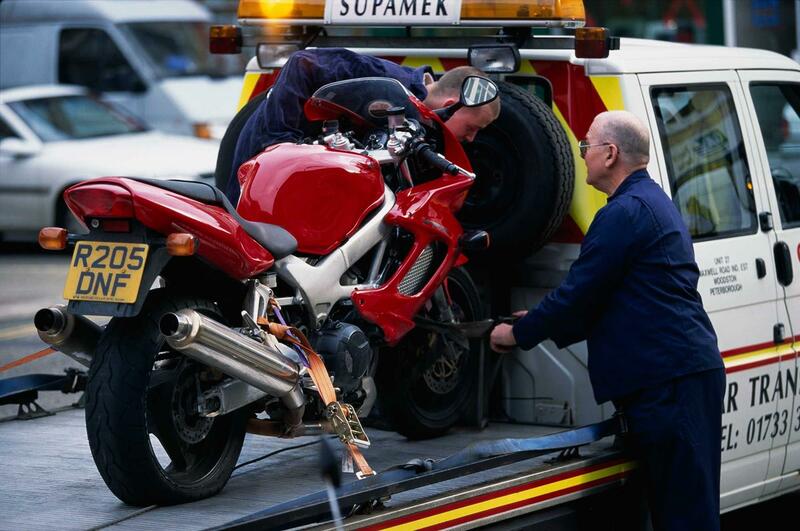 Some insurers will include European breakdown cover as standard that will allow for roadside repairs or that will even get your bike back to the UK in some circumstances, it’s worth checking your policy to see if this is included. If you have existing breakdown cover, then it is wise to not assume that this will cover you riding in Europe or further afield too. Check your cover to make sure you are adequately protected for the countries that you will be travelling in and if not then extend your policy to include it. Another thing to keep in mind when thinking of breakdown cover are the implications that a broken vehicle might have on your holiday, what will happen to your bike if it has a major mechanical? Will you be able to get it returned to the UK if needed and will the cover include the hire of another vehicle in the meantime? Nobody likes being left at the side of the road, especially in a country where language may well be a barrier and getting your bike either home or to a garage might be extremely costly if you’re not covered. Cover can be purchased from the AA, RAC or the Green Flag, but it’s worth thinking about what you might need. If you’ll only be going abroad once in the year then it makes sense to get a one-trip or short-term cover policy if it isn’t already included in your normal cover, on the other hand, if you’re planning a few or several short trips across the Channel then more extensive cover might be required. "If you only have third party insurance and have a crash, your insurer won’t pay for repairs, towing or getting your bike back to the UK. If you have comprehensive cover you may be able to reclaim the costs, but will need sort your bike yourself. "Breakdown and accident assistance insurance will get you sorted, subject to the limits of cover. This will usually include arranging a repair locally - if that’s possible – and sort things like accommodation, a replacement vehicle and repatriation of your machine if necessary. "To avoid any nasty, inconvenient and costly shocks, check what is and isn’t covered before you buy. Cheap isn’t necessarily cheerful if you end up stranded with a knackered bike. Detail like whether a 24 hour English speaking helpline is available can really count." Always take emergency essentials for you and your bike. Don’t go anywhere without at least packing a small first aid kit – you never know when it might be needed. A basic tool kit is also essential, identify any tools that you’ll specifically need to remove panels or that fit common parts to your machine and make sure they’re included in your tool kit. Duct tape and cable ties can also be the difference between a bike that is going nowhere and being able to continue your journey - don’t go anywhere without them. If you don’t want to take a whole roll of Duct tape then consider wrapping it around the stem of a screwdriver, it’ll save valuable space and still be there should you need it. "Don’t confuse the provisions of the European Health Card with travel insurance. The former covers all or some of the cost of state-provided, urgent and medically necessary treatment. That’s it. "So, if you have an accident or medical emergency and need repatriation to the UK, that’s your bill – unless you have travel insurance. An air ambulance from Italy or Germany might cost £10,000+. "Some insurers may also waive the excess on your travel insurance if you have an EHIC. If you’re going to North America, travel insurance is even more vital. Medical costs are high and an air ambulance could run you to some £50,000. Expect then to pay a higher premium than for European cover." 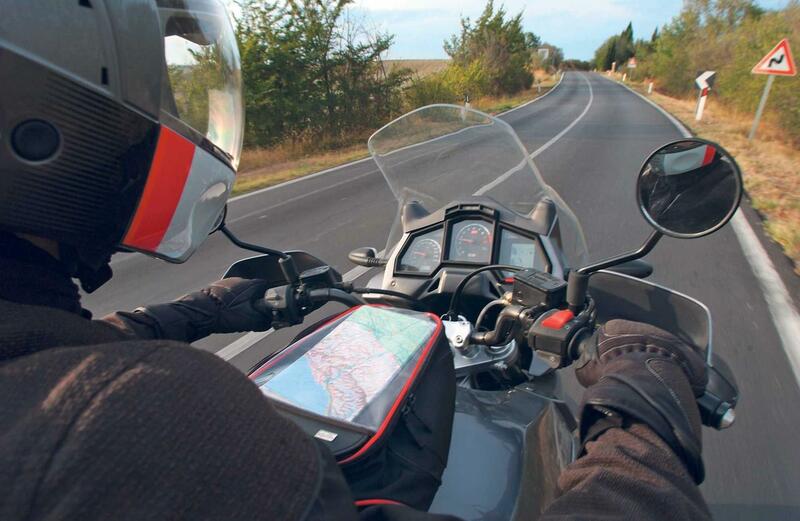 While a sat-nav unit may well be the saving grace of many motorcyclists travelling abroad, there is always the chance that it could get damaged, stolen or stop working. Having a good knowledge of your route could make the difference between making it to your next stop-over or not. 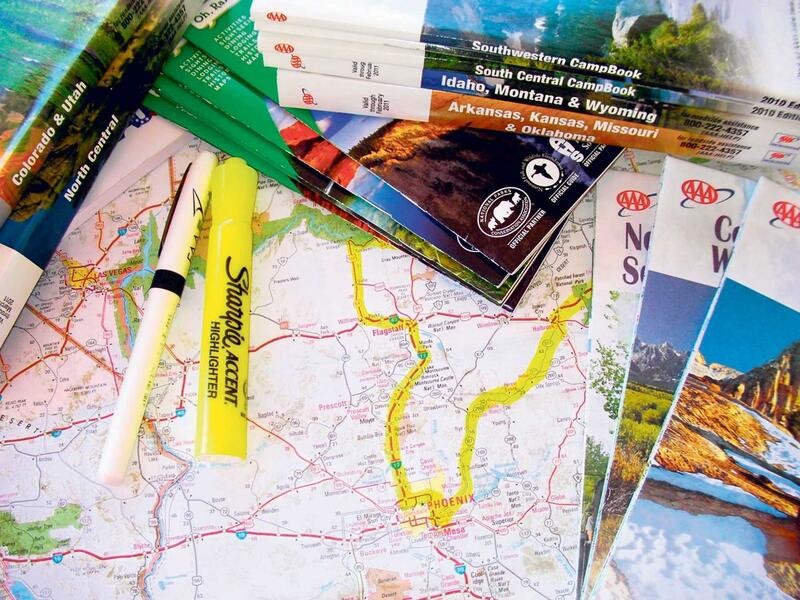 Pack a paper map and tape some rudimentary directions to your tank or put them in your tank bag map case. A phone can provide a good emergency backup however, it’s definitely worth checking with your provider before setting off what usage is included in your plan. Some phone services won’t charge you for using your data in certain countries – some might charge a fortune though. If your bike doesn’t have a 12v socket or charging point then a power bank can keep items such as a phone or even things like a GoPro camera topped up while on the move and they’re relatively inexpensive to buy too. It’s worth noting that different countries have different laws regarding riding. For example, in France you need to carry a breathalyser and that speed camera alerts must be turned off on your sat-nav. Or that in Spain, you’re not allowed to take a child under the age of 7 on the back of your bike. Even knowing the blood alcohol limit is important, many countries in Europe have lower limits than the UK meaning that you could be over the legal limit, even if in the UK you may have been legally able to drive. In some countries such as Hungary and the Czech Republic it’s illegal to have any alcohol in the blood while driving at all. If in doubt, give the bottle a miss the night before. It’s also beneficial to know if you’ll be travelling somewhere with toll-roads. If you’ll be doing any significant miles through France then it’s highly likely. It can be handy to keep some spare change in your tank bag or your credit card handy to make passage easier. You may well be versed in the laws applicable to riding in the UK better than a high court Judge, but that accounts for little in a different country where they all have their own laws and regulations. It’s definitely worth getting to know just what you can and can’t do in the country you’re headed. This can extend to laws surrounding motorcycles or could even be a lower alcohol limit to be aware of if you have a few tinnies the night before. Some countries in Europe have restrictions on the age of pillion passengers and most have laws that require dipped headlights to remain on even in daytime (a consideration to riders of pre-naughties machines). The speed limits also vary greatly, and while we all love the German autobahns and the stretches of tarmac where the only restriction is how much you turn your wrist, there are countries where speed limits are heavily enforced and can impose on-the-spot bans and vehicle confiscations. There can also be varying speed limits depending on the weather, in France for example you could be subject to lower speed limits if it’s raining and you’ve held your licence for less than three years. Don’t get caught out and check the requirements and laws of the countries you’ll be visiting before you go. If you are planning a European touring holiday this year, then your essential paperwork should include a European Accident Statement (EAS), as well as your insurance certificate and/or green card. The EAS is a standard form available throughout Europe in various languages. Its purpose is to get an agreed statement of facts when people are involved in road accidents, to assist with the processing of any subsequent insurance claims. In France it is known as a constat l'amiable form and it is a legal requirement in France to fill in an EAS if you have an accident that involves people or vehicles. Both parties should sign the statement at the roadside before the vehicles are moved, if possible. There are some things that stand out when you’re in another country and one of them is your number plate. It instantly alerts thieves that you might not be savvy in the lingo and that you’re in a foreign country, in an area that you’re not too likely to know well, making you a prime target in some cases. Think about where you’re staying and if you get a chance, enquire to see if it has secure parking before you go. It also helps to read reviews on sites such as Trip Advisor to get a feel for where you’re staying, if there are lots of negative reviews about how dodgy the staff are then it might be best to look for somewhere else. Also, you can get a rough feel for the general area by using services such as Google Street View, a pretty picture of the front of the hotel means nothing if you end up staying in a ghetto. If you’re unable to park in a secure parking area, think about where you’ll leave your bike. A quiet alleyway on some forgotten back street will only encourage the opportunist thief more than say a busy, well-lit area that has CCTV. It also makes perfect sense to have a lock with you, anything that deters thieves can only be a good thing. Chains can be heavy and somewhat cumbersome to take around but will provide the best protection against bike theft. However, if you don’t have room to take a chain, or it is too heavy to reasonably in a rucksack then at the very least make sure you have a disc lock. Don’t get caught out. Good preparation is key to a successful trip. While 9 times out of 10 the trip will go smoothly without any major drama, there’s always that tie that you might find yourself in a bit of a pickle. Having the right documentation, cover and essentials will at the very least allow you to deal with a situation without too much hassle and at the minimum cost should something occur. Riding a bike in another country can be exhilarating and exciting, breaking routine from the roads you know and discovering somewhere new. 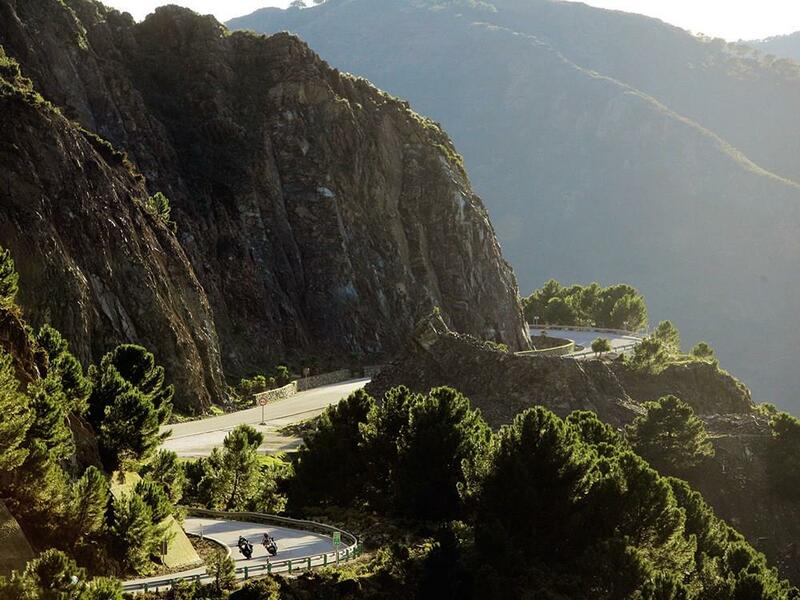 For many, a trip abroad on the bike can be the highlight of their biking year. "If you have a puncture and miss your ferry, the chances are you won’t be covered by your travel insurance. Build in time for unexpected delays. If you leave early the worst that can happen is you’ll arrive early. Pack an MCN and grab a coffee to fill the time!"